It is rocket science! 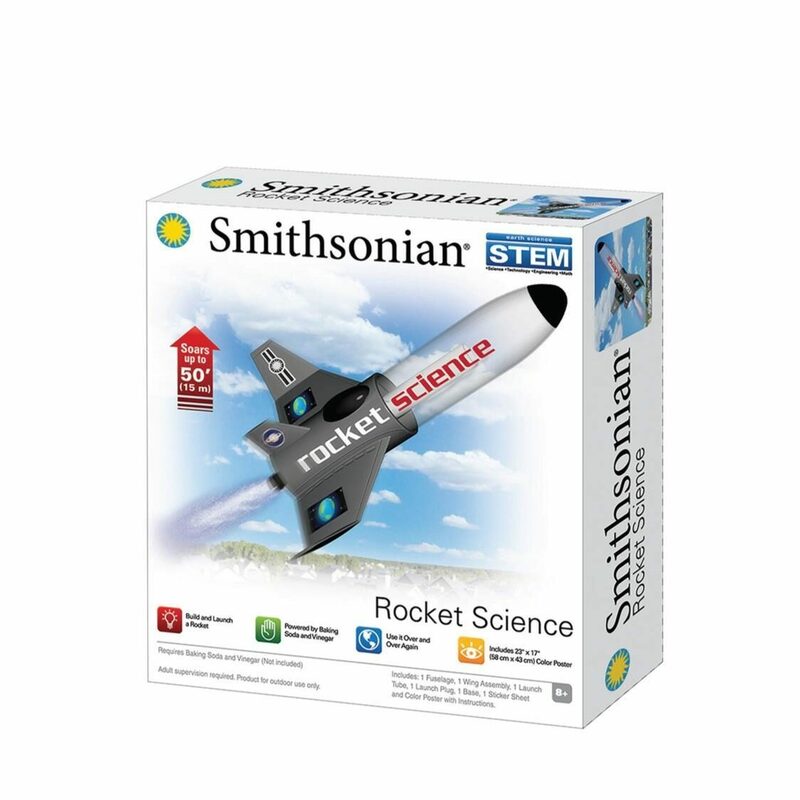 The NSI Smithsonian Rocket Science Kit teaches kids about propulsion, motion, opposing forces, and more. This rocket is powered by vinegar and soda and travels as much as 100 feet. It can be launched again and again. Learn about rocketry in a fun and interactive way. Soda-and-vinegar-powered rocket soars over 100 feet.